I've been one of eBay's biggest fans ever since I started buying from and selling on their website over two years ago. Recently, though, I have been taking advantage of all the new products they sell. Even though eBay is known as a site to buy vintage/pre-owned goods, 81% of product listings are brand new items. I actually recently bought a brand new camera through eBay. Y'all, you know that if I buy a $2,000 camera through a website, I whole-heartedly trust it! The new product selection on eBay is extensive, but in this post, I'm focusing on how you can use eBay (http://www.ebay.com/rpp/back-to-college) to decorate your dorm with brand new decor. 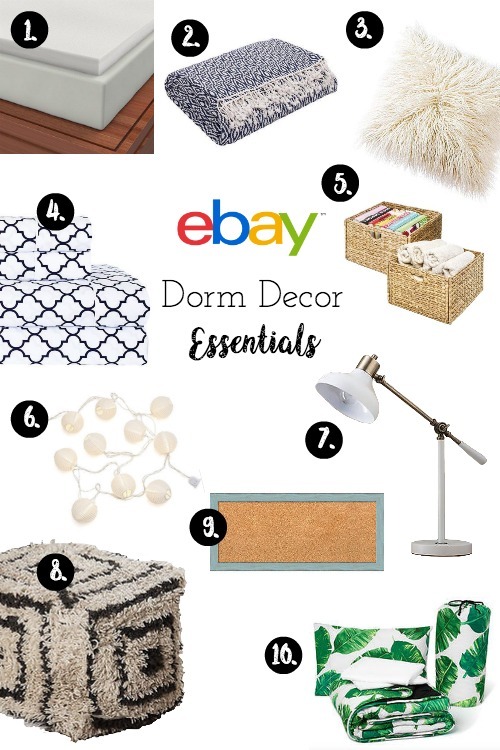 I'm doing this by rounding up 10 of my favorite new decor products from eBay that are essential for dorm life. In addition, take a look at eBay’s college packing checklist (http://pages.ebay.com/rcp/CollegeChecklist/) for more insight on dorm essentials! 1. Soft Sleeper Twin 3 Inch Memory Foam Mattress Pad - Buying a memory foam mattress pad Freshman year was one of the best decisions I've ever made. Dorm mattresses are practically cots; so thin and stiff. A mattress pad is necessary and memory foam makes it even better. 2. Geometric Woven Throw Blanket with Fringe Trim - A cute throw blanket is the perfect way to make your bed look extra cozy. 3. Mongolian Faux Fur Throw Pillow Cover - The best way to give your bed character is by piling the throw pillows on! Mix neutral and pattern ones together and try to get ones with fun textures. 4. Trefoil Printed Meridian Percale 100% Cotton Sheet Set - If you get a solid colored comforter/quilt, add some patterned sheets to make your bed more interesting and vice versa. 5. Woven Wicker Storage Basket Set - There are a lot of necessary, but unsightly dorm essentials that are best kept out of sight. The best way to hide these things is by storing them in cute baskets! 6. 10 Ft. Mini Lantern String Lights - String lights really change the whole mood of a room. After a long day of class and other college activities, having a relaxing environment to come home to is a must. 7. Crosby Schoolhouse Desk Lamp in White - Cute desk lamps make for great decor but are also super necessary. Chances are, if you live in a dorm, you share a room with someone. 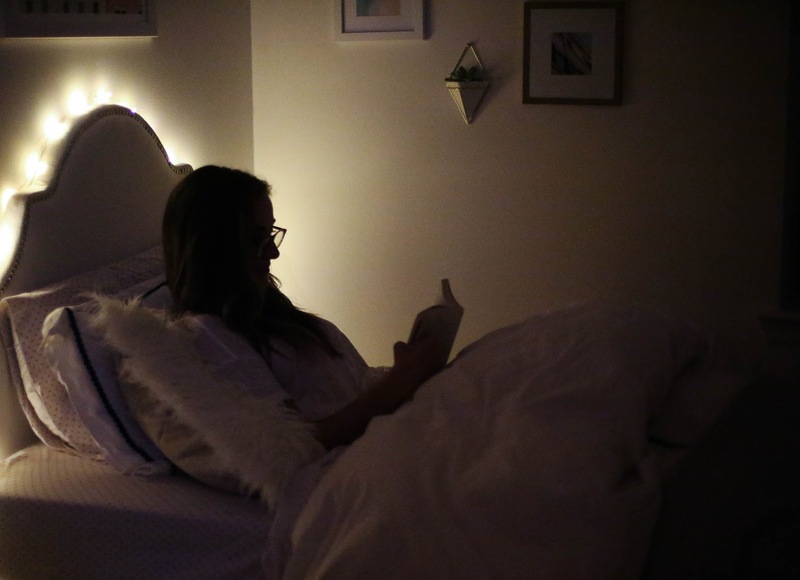 If you have a late night of studying and your roommate wants the overhead light off, you can buckle down in the corner at your desk with a small lamp to light up your books. 8. Navy & White Geometric Shag Pouf - Poufs are super popular these days! They add a cute element of decor to a room, but are very functional as well because the act as extra seating. Dorms are a very social setting (at least in my experience) so chances are, you'll have a lot of people hanging out in your room and run out of places for people to sit. 9. Sky Blue Rustic Framed Cork Board - Cork boards are wall decor that serve a purpose. You can hang your class schedule, to-do lists or reminder post-it notes. You can also make the personal by creating photo collages of important memorabilia and photos of loved ones. 10. Victoria's Secret PINK Twin Palm Print Bed In A Bag - Cute and comfortable bedding is a MUST in a dorm. eBay has a huge selection of "Bed In A Bags" that are very convenient for move-in because the whole bedding set fits in a small bag. 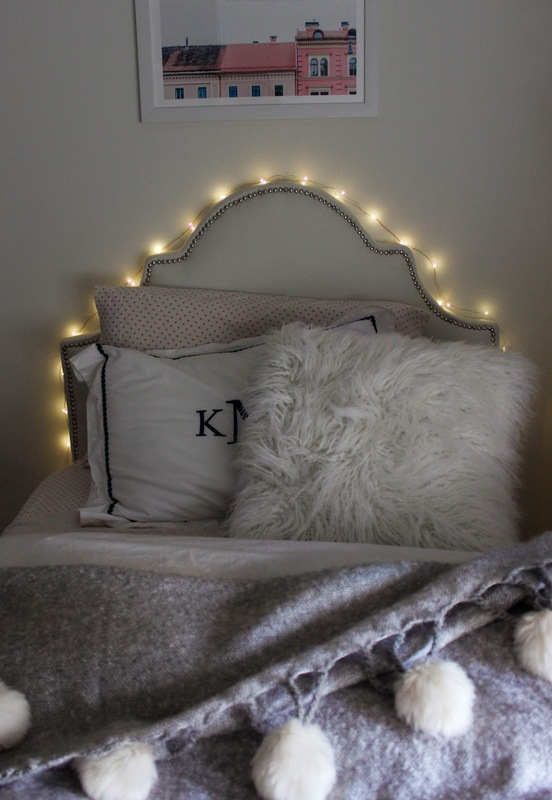 (NOTE: these links will be hyperlinked in the actual blog post) I recently ordered two brand new items, fairy lights and a fluffy white pillow, from eBay to incorporate into my bedroom. I’m so happy with these picks because they add so much coziness to my room plus a peaceful, relaxing ambiance! I recently ordered two brand new items, fairy lights and a fluffy white pillow, from eBay to incorporate into my bedroom. I’m so happy with these picks because they add so much coziness to my room plus a peaceful, relaxing ambiance! Disclaimer: This is a sponsored post in partnership with eBay and Her Campus Media. so much coziness to my room plus a peaceful, relaxing ambiance!